Achieve the smile of your dreams with cosmetic dentistry options at Ria Family Dental. Enjoy life’s best moments better with newly dazzling teeth. Talk to your Ria Family Dental dentist today! Whether due to extrinsic or intrinsic factors, teeth can develop a disappointing shade. At Ria Family Dental, we can help. 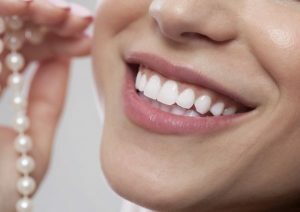 Teeth whitening is a non-invasive, simple, and effective dental procedure that works to improve the brightness of your teeth to amplify the beauty of your smile. Teeth whitening has a number of benefits. In fact, by a recent study from the universities of Leeds and Central Lancashire confirms that a brighter smile makes a person more attractive. Minor teeth imperfections such as discolourations and cracks can do great damage to your smile. With porcelain veneers, this is no longer a problem. Veneers are cosmetic dentistry equipment attached to the front surfaces of the teeth to mask imperfections. Porcelain veneers are tooth coloured ultra-thin layer of porcelain customized to a patients measurements. Hence each veneer is unique to each patient and is nearly impossible to distinguish a veneer from a natural tooth. With proper care, veneers are proven to last 10-15 years. Tooth fillings are resin material bonded to the tooth to fill in cracks and other damage. They have preventive and restorative benefits. They stop the progress of damage and restore strength while looking natural in your teeth. Tooth fillings are often recommended to address the following issues: decay, cracks, fractures, chips, broken tooth, small gaps, and as part of root canal treatment.